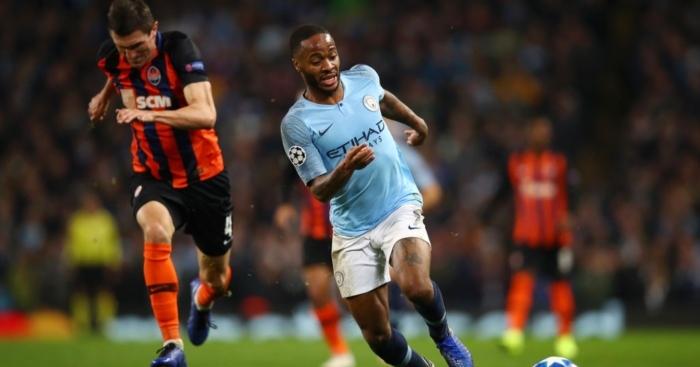 Raheem Sterling has spoken out after he was awarded a dubious penalty in Man City’s 6-0 demolishing of Shakhtar Donetsk. The attacker appeared to kick the ground before tumbling over, but the penalty was given City’s way. The penalty was relatively meaningless as Pep Guardiola’s men ran riot, netting six past the Ukraninan side without conceding a goal. The victory means they remain top of their Champions League group, with Sterling saying the victory was ‘massive’.